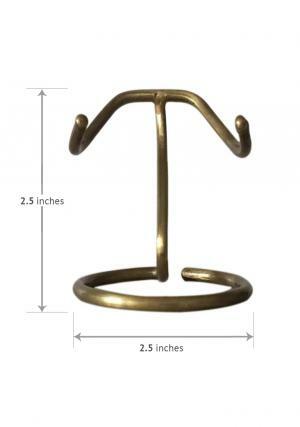 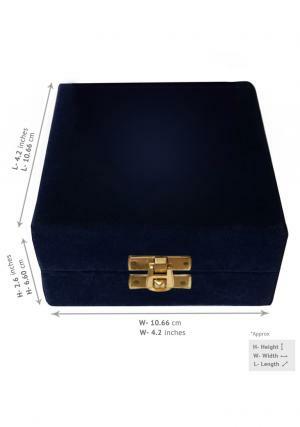 The small funeral urn made of rock brass with soft top finish and coated graphite label to look simple. 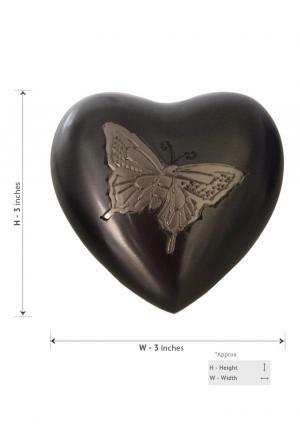 The centre of the heart urn is hand crafted with butterfly at the center occupying ¾ of the space on it. 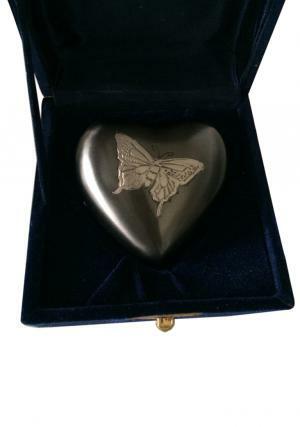 The cremonial urn has an open/close behind to place the cremated ashes in with upto 4 cubic inches capacity of token space in it. 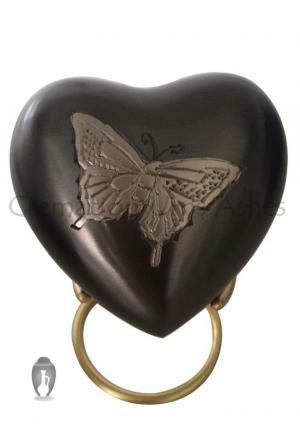 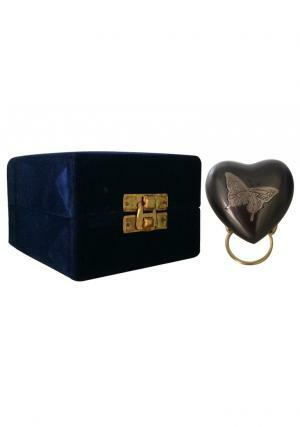 The keepsake urn shaped in heart comes out with a stand to protect and decorate the space beautifully.